JScreen is a non-profit organization partnered with Emory University and dedicated to carrier screening programs for Jewish genetic diseases and at-home education. It was named one of the most innovative American-Jewish organizations in 2014. It was founded by long-time Jewish community activists Randy and Caroline Gold after their traumatic yet preventable family hardships. Namely, in August 2009, their 18 months old daughter Eden was diagnosed with Mucolipidosis Type IV (ML4), a very daunting and completely preventable Jewish genetic disease. The couple was screened for Jewish genetic diseases beforehand, only to realize the test covered just 8 of the 19 most common ones. That’s what propelled them to launch JScreen, alongside ML4 Foundation, through which the Golds are trying to discover a cure for their daughter’s disease. Online order – You can have the JScreen testing kit delivered to your home address. Note that JScreen will have to contact your physician in order to obtain medical approval prior to sending you the kit. Sample collection – Once the testing kit arrives at your home, all you need to do is fill the collection tube with your saliva and seal it in the provided specimen bag. The whole procedure takes around 2-5 minutes. Sending your sample back – The kit features a pre-paid mailer, so you can simply drop it in a FedEx drop-box. Inspecting the results – After roughly 3-4 weeks, Emory University will contact you to inform you about your results. You will receive an e-mail notification, instructing you on how to proceed with obtaining your final DNA report. JScreen requires medical approval before sending you the DNA testing kit because it is not a business in the strict meaning of the term. It aims to spread awareness of Jewish genetic diseases through both education and testing. That’s why it will also provide you with educational content before letting you order its testing kit. The founders of the company are highly dedicated to the Jewish community and have launched their genetic screening project in an effort to prevent the development of genetic diseases. If you want to discuss your results face-to-face with an expert, JScreen genetic counselors offer this possibility through secure video conferencing. JScreen also features a broad network of professional counselors and can refer you to the one nearest to your location. If you are identified as a genetic disease carrier during the testing, you are encouraged to participate in a telephone genetic counseling follow-up. JScreen counselors can help you prepare and plan the healthiest options for your future family by minimizing the risk of inherited genetic diseases. Everyone is basically a carrier of genetic alterations, so JScreen also offers its services to people without the Jewish ethnic background. The most prominent reason to sway you its way is the fact that JScreen is an embodiment of a personal crusade against Jewish genetic diseases, rather than just another business interested solely in making a profit. One of the services offered by JScreen is mapping your best options after you’ve received the test results. This is way outside of the scope of what a regular company would do for you. JScreen will suggest the best possible route to forming a healthy family, even if you’re established as a carrier of a certain genetic disease. The first piece of information we need to put into perspective in this section of our JScreen review is the fact that JScreen focuses more on reproductive risks than on personal conditions. With that in mind, you should note that its test won’t provide information on things like your genetic ancestry, potential breast cancer or Down syndrome in pregnancy. Before you’re given the option to order the test, you’ll have to watch an educational video, guiding you through the entire process and explaining what to expect once your results arrive. The price of the test is 149$ with private insurance (used to be 99$ while JScreen tested only for 45 genetic diseases). As we already mentioned, if you can’t afford the test or don’t have insurance, you can contact JScreen and check if you’re eligible for its financial assistance program. JScreen uses a common method called DNA sequencing to process your sample and provide accurate results. This method ensures a 94-99% accuracy of your final report, depending on particular diseases. 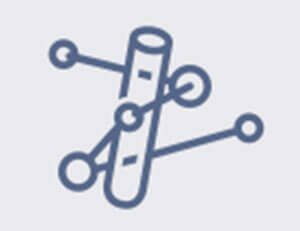 It enables genetic scientists to determine the precise order of nucleotides in your DNA molecules. Unfortunately, JScreen remains silent on the actual number of genetic markers it checks during the testing process. JScreen DNA testing incorporates over 200 genetic diseases, including the ones predominantly found in Mizrahi, Ashkenazi, and Sephardic Jewish populations. You can view the entire screening panel on its website. Most of these diseases are inherited in a recessive pattern. This means that the child can inherit the condition only in cases when both of the parents are carriers of the non-working gene for that specific condition. 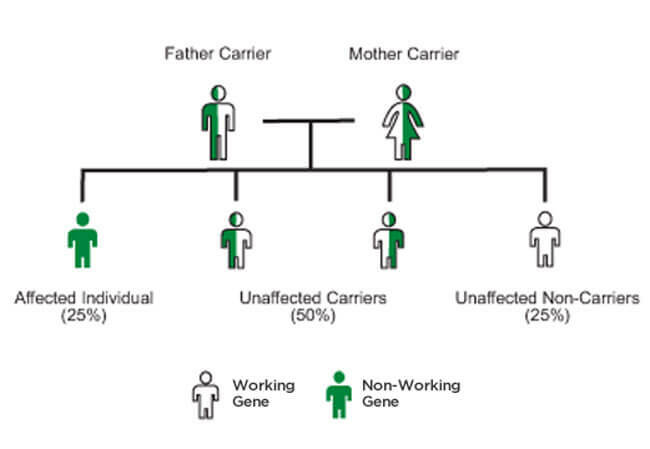 In order to develop symptoms, the child needs to possess a pair of non-working carrier genes, for which there is a 25% chance with two carrier parents. Among other illnesses, JScreen also tests all females for Fragile X Syndrome with no extra charges. The condition especially reaches the peak of its severity in males, causing a wide spectrum of behavioral and developmental problems. Only females are tested for it because it’s inherited differently from other conditions on the list. Women have a 50% chance of giving birth to an affected child. Males can be carriers as well, but the child is at risk of being affected only if the mother passes on the required genetic alteration. JScreen genetic testing utilizes saliva samples rather than blood or buccal cells. The level of accuracy is the same since your DNA doesn’t differ from one potential specimen to another. Collecting saliva is also a far less invasive method than drawing blood. However, there is a minuscule chance of having to recollect the sample if the original one doesn’t pass the quality check. If this happens, JScreen will arrange the recollection for you. In some cases, JScreen will require a follow-up test of your blood enzymes to clarify the potential carrier status. JScreen’s recommended age for testing is between 18 and 45 years of age. As we said, its test is aimed at people planning on forming a healthy family before anything else. Therefore, there is no purpose in testing children or older adults since they won’t be provided with any relevant information. The average turnaround time is around 3-4 weeks. The final report is pretty straightforward and it will give you positive or negative results for all the genetic diseases tested. Unfortunately, like any test, it’s designed to minimize the risk as much as possible, but it can’t definitively negate your carrier status. You should note that, even if you’re listed as a carrier, you may not develop any of the conditions. JScreen testing can also inform you about your existing Tay-Sachs or Gaucher Disease. Upon your request, the copy of the results can be provided to your family physician. If you’ve already received your report, there’s a form on the website that authorizes JScreen to release the copy of your results to your doctor. The extra results should be delivered within 3 business days. This, however, also means that you won’t be able to access your family members’ results without their explicit permission. This also includes your children. Surprisingly, there is no information regarding shipping options and the regions covered by JScreen’s shipping policy. Its website is brimming with relevant information otherwise and the inclusion of shipping options available would definitely make the data pool complete. The JScreen test should be considered by everyone, Jewish heritage or not. It provides the very foundation upon which to build a healthy family. If you were already screened for Jewish genetic diseases, you should definitely repeat the test since the quantum of included conditions is constantly growing. Many children are born with certain genetic conditions, even when they don’t run in the family. So, even if you don’t have a family history of genetic diseases, you should take the test to exclude the possibility of generations of healthy carriers. You should take the test, regardless of the fact that you already gave birth to a healthy child. Remember, we already established that the child has a 25% chance of inheriting genetic diseases. If just one of your parents is Jewish, JScreen also recommends performing the test since having just one Jewish grandparent increases the risk of carrying disease genes. This also applies to situations when just one of the partners is Jewish. If you’re adopted and have no knowledge of your ancestry, you should take the test. If you already tested as a carrier and want to test your children, JScreen doesn’t recommend it for the reasons stated above. 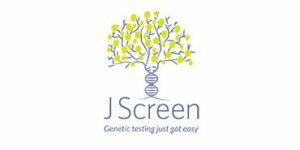 JScreen is a highly professional, humanitarian and, above all, noble effort for identifying genetic disease carriers on time and providing ample options for working your way around the situation. We hope that our JScreen review gave you a glimpse of its zealotry for this cause and inspired you to give the company a closer look. Our ratings are the result of an objective and independent evaluation of JScreen, generating the final rating that reflects the overall quality of the company. Ratings may change as the service changes. JScreen user rating based on 6 user reviews. Wow! Exceptional service, extremely professional staff, and a thorough yet simple process. 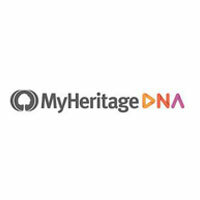 In my opinion, there is no other genetic test I would recommend for anyone who is going to start a family. Thrilled with the service that JScreen provided! An exceptional program with incredible staff. Would recommend to everyone. Great test if you wanna make sure you don't pass anything nasty on your children. JScreen really came through with the whole money support. After hearing about my family financial state they gave me a test without charging a dime. We found 0 verified JScreen discounts for April, 2019. There are no JScreen coupons or discounts right now. If you like JScreen but aren’t sure whether they are truly the ideal choice for you, you may want to take a look at our comparisons below to discover if one of their competitors is more suitable for you.